Security is one of the important aspects in modern business. 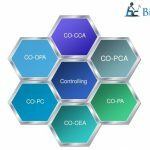 The one foremost responsibility in any business is security of information – Customer Data, Purchase Data, Clinical-trails data in Pharma industry, etc. SAP Security is the gateway of SAP system. It protects the information from unauthorized use. Security in SAP can unlock the flexibility of the system and customize it for each user. SAP knows that information stored in it is one of the company’s most Valuable Business Assets. SAP Application Security Controls who can do what. Like who can approve a Purchase Requisition over $10000. Who can update vendor Bank information,who can create or Modify Users etc.It fulfills the objectives of Confidentiality, Integrity, & Availability. The other fulfillment carried by SAP Security are Complying Legal Requirements – SOX, HIPPA, ITAR. Segregation of Duties Vs Excessive Access, Controls – Preventive Vs Detective, Mitigating conflicts etc. Basic concepts of Basis is provided to make him confident and to be comfortable as an experienced one to participate in real time discussions, Client meetings, etc. 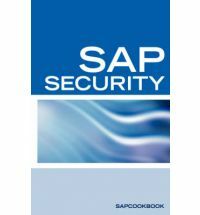 A special coverage on the concepts of SAP Security and SoD is provided. Its implementation and support scenarios help him to be one in the experienced forum. Overview on SARBOX and GRC provides the required knowledge to build his carrier towards functional as well as technical.He can be placed as a consultant and also in a client place providing support as well as implementation.